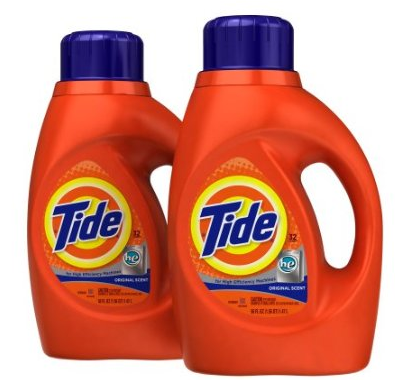 Tide: Stock Up Time! 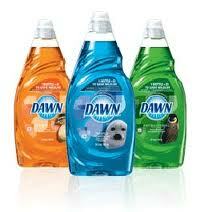 Get Tide For Just 89-cents each, Plus Free Crest Pro Health Mouth Rinse, Dawn, and Bounty! (starting next week)! There appears to be a very large coupon insert set coming out for 7/27/14 with the possibility of five inserts. Whoo!!! There is also at least three different P&G promotions going on next week. I will not be able to check some stores until later in the week, so this deal could get better! This deal will require you to purchase four newspapers or you can use a combination of coupons and printable coupons found in the scenarios below. Remember the P&G Rebate posted over here? Okay, since you need to spend $30 after coupons, there is a scenario below that reflects the “after coupon” price for the Tide items. Each store also has a store reward that goes along with these promotions. All store promotions are a limit of one per household, so you’ll need to shop at different stores to snag this deal. Keep in mind that the P&G rebate is good through September and you do not have to purchase all products at once. So, you can pick one store deal from this week, hang onto your receipt, and continue with other promotions as they come along until you have $30 in select products for the rebate. However if you want to purchase the rebate amount all at once check out this deal below. You will need to shop at Rite Aid and Walgreens, then submit both of your receipts together for the rebate. Rite Aid scenario – Purchase $30 in select P&G products get a $10 Gas Card by Mail (limit 1). Plus, earn a $3 +Up reward for Crest Pro Health Mouth Rinse (limit 2). * The Tide is a limit of 4, so you will need to add in other items to hit the $30 mark. There are several other items to choose from. Earn $5 on your balance rewards card. Plus, you’ll have $18.94 towards your P&G rebate from this promotion. $10 when you submit both receipts with this printed form. Final cost: $8.90 for all!!! It’s like pay 89-cents per bottle of Tide and getting all other items FREE! **Note: If you already submitted your receipts from another P&G deal, you can still get this deal super cheap. Without the $10 P&G rebate, it’s still only $18.90 for all! That’s like paying $1.89 per bottle of Tide and getting all of the other items free!!! That’s still an awesome deal! This entry was posted in Rite Aid, Walgreens. Bookmark the permalink. Get Two Full Years Of Parents Magazine For Just $7.99! ibotta: Earn Rewards On Your Groceries and More! Like Stephanie’s Savings on Facebook to keep up with the latest deals.